Hope you are doing well and ready for today’s article because it is not going to be pleasant as it reveals the true evil inside of us. Boo! I am sorry, I did not mean to scare you, at the same time, it is far from being nice to talk about one’s self-esteem. According to statistics, around 80% of people have superiority or inferiority complexes and only 20% are those with normal self-esteem. Do not tell me it has surprised for you. Even if you assume you are normal you still can have some traits of these complexes and therefore learn them and be ready to prevent. In this article, I am going to talk primarily about inferiority complex. It does not mean this article is not about superiority complex though (you can learn more about from a separate post), as these two are just opposite to each other and express two extremities of self-esteem. Let’s look at inferiority. What is this and is it normal to be or feel inferior? The answer to the last question is “yes”. When you are a child, you are inferior and there is nothing special about it. You are growing up and developing, becoming an adult with normal self-esteem. Indeed, that is the ideal way. Nevertheless, your parents influence you dramatically and whilst growing up – your self-esteem may be influenced by the wrong attitude of your parents. Imagine, you were being told that your sibling/friend/somebody’s child is better than you are academically or at drawing, at dancing or at anything else. These thoughts settle in your mind and when you compare yourself to others it either motivate you to improve your skills in different spheres and live your life your way or look up at other people and think that you are “not good enough” or something is wrong with you. Any person with an inferiority complex seeks attention and approval as he or she is not mature enough. At this stage, I want to underline that “to be inferior” is a fact and has nothing in common with an inferiority complex which is about “to feel inferior” but not necessarily to have something real to feel that. The common symptoms are immaturity and insecurity, aggression, anxiety, and depression, creating borders with others or vice versa. Now we move on to the more specific signs. Comparing yourself to others. Honestly, it is the regular thing for people to look at others and compare with themselves. People with an inferiority complex has their own way to do that though. They tend to find the best quality or skill in person and then compare with their own imperfect one. Such people unable to complete the evaluation process in a healthy way, they focus on the top qualities of others and do not wish to notice that nobody is perfect. Social withdrawal/attention seeking. As I have mentioned, inferiority complex people either try to avoid others to hide their imperfection or, oppositely, seek attention from their surrounding to receive an approval, praise or support. High level of sensitivity to other people’s opinion. Every day we hear different perspectives to the things happening around, people actions, news, and anything people can discuss. That is not a problem to a person with normal self-esteem but it is for that with inferiority feeling. This kind of people perceives everything close to their heart. They are unconfident. Hence even when they have their own opinion about themselves, they tend to trust a person who tells them anything and especially if it is bad. Such people will always think that they are “not good enough” and another person is right telling that. Judging others. How to avoid criticism from others? Right, the best way to do that is to find someone else’s mistake and switch the attention from you to another person. This is the variant people with inferiority complex choose. They also would blame others in their mistakes and avoid any responsibility. Neglection of yourself. This sign is based on “not good enough”. To put everyone else’s need in the first place to be rewarded with praise or approval. Inferiority complex people always think that they are “not good enough” and because of that, they are seeking the way to be good. They avoid thinking of themselves and therefore choose to please others. Procrastination/inaction. It might seem strange but inferiority makes people become perfectionists. To do perfectly or not to do. These people feel uncomfortable to do anything they are not able to complete perfectly. Hence they would rather prefer to postpone it if not have enough knowledge. 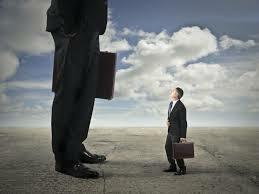 When we are talking about any kind of competition, you definitely do not find an inferiority complex person there. The fear of failing is the reason why. Once again, they prefer to escape from doing something if they are not perfect in that. The thought that they are “not good enough” may prevent them even from doing simple things. It is obvious, that I did not mention all the signs of an inferiority complex but these are the most common. Remember, that whether you have some of these signs or not, everything depends on you. If you decide to be successful you will and if you stay indecisive nothing will change in your life. You are familiar now with this complex and know how it can cause your self-esteem. I only can tell that you decide where to move from this point: remain the same or add something new, work on yourself or stay passive. Wish you all the best and see you next time! Please let me know if you’d like to have a separate article about the superiority complex. Previous Социальные сети разрушают вашу жизнь. Правда ли это? Next Самооценка и комплекс превосходства/неполноценности: как справится?